A few more months and people will be busy preparing for the holiday season. Is your online business ready for this? Have you wondered why popular online stores such as Amazon and eBay sell their products and services “like hot potatoes”? These online stores draw millions of online shoppers, particularly during Holiday season, because they know that they have vast and complete product lines that they need and want for the Holiday season. On the other hand, retailers, local and abroad, will be busy posting their products to these stores, knowing the wide audience and millions of shoppers come to their stores for something. Buying and retailing experience show that half of a year’s online shopping orders for December are placed from November until December 24. It is within this period where millions of people are coming to Amazon and eBay. Retailers realise the advantage of posting and selling their products not only through their web store but also, posting ad selling their items through these big popular online stores. However, selling your products on Amazon, eBay, or any web store, require some fees that may affect your sales margins and you may have to sacrifice other promotional campaigns. During this Holiday season, opportunities are abound. As business owner, you do not have to limit your scope and activities on your web store. Start to make your web store known to people. Know and sell the products that people want, particularly during this Holiday season. Although you can post any product on Amazon, eBay, or other web stores but there are some of them that put limit into your postings. Starting this Holiday season, concentrate on your top selling products because these products indicate your strong point. Remember also that Holiday shoppers generally look for gifts for family and friends. Whatever your best selling products are, transform them into best gifts they can have for this year’s Holiday season. Discover and sell products where there are few sellers. With Amazon, it builds a single page for every item and this means that all retailers that have the same products are placed on that page. Thus, if you are offering an item which 75 other retailers are selling, then your chances of getting some attention may be too slim. Unless, of course you are willing to sacrifice few dollars and be the lowest price. Sell a unique gift from an ordinary item. You can package two items that seem to offer related features and usage to draw the attention of your visitors and convert their visits into great sales! 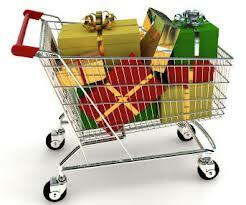 Aussies are great online shoppers but you do not have to limit your area this Holiday season. Expand your visibility globally by reaching out to international market. Remember that Christmas does not happen only in Australia but around the world. If you want higher sales this Holiday season, expand your market and try to offer your products globally or to some particular countries. Try to find systems or services that offer easy ways to send products to other countries. Promote and sell your products on other web stores. Aside from Amazon and eBay, there are other similar websites that offer the same services where you can promote and sell your products. Other sites may have fewer retailers, which means that you will have more chances of getting attention from their visitors. Try target.com.au or dealsdirect.com.au. Properly handle your inventory. Inventory is one of the most important factor in business but oftentimes forgotten. Just imagine if it is Holiday season and there is a lot of traffic on your web store and the other web stores where you placed your products. Mistake comes when you do not know your inventory, particularly the quantity. Manage your inventory with a system that can monitor your inventory and produce a report at the end of the day. During the Holiday season, you may consider including a buffer, so that when these products falls below three, you can remove from other web stores and put them on your own store. Make sure that the inventory reflects number of products available so that visitors and customers will not be disappointed. Increase and manage well your credibility as a business entity, not because you offer the lowest price but because your products are one of the best products in the market. Connect and interact with your visitors and customers by sending emails to inform them about the status of their orders, follow-up message, latest updates and tips, or even exclusive promos. Or, you can also ask them for feedback. At eBay, buyer and the seller rate one another. You can establish a rating system for you as the seller and your buyer and start from it. How we can help during Holiday season? We have experts who can assist you market your products by optimizing your web store. Or, if you are planning to start your business online, we have an experienced team who build web stores using Magento platform. For free consultation and details, contact our expert internet marketing team or our Magento team through 1300 055 867 or send email.